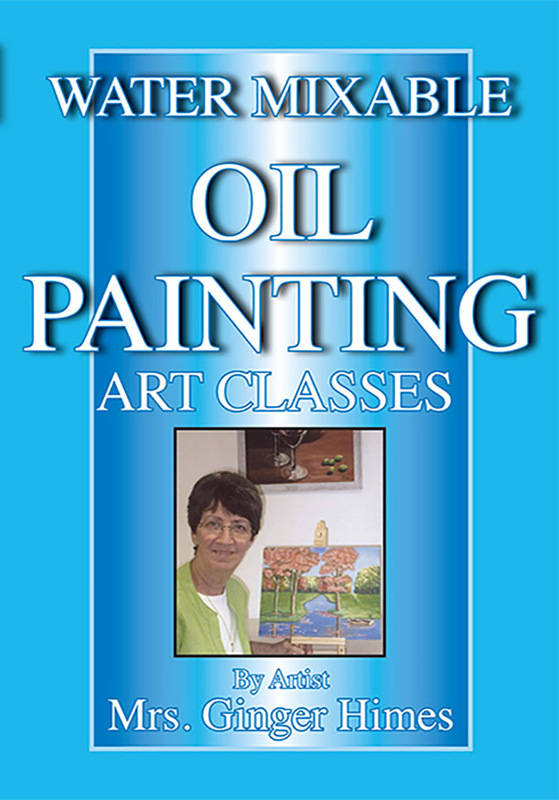 Another great Art DVD from Ginger Himes - the first one on Painting with Oils! This introduction to Painting Lessons are geared to students grade 5 through adult. Instructions are designed to give students confidence in painting with water mixable oil paints. Materials needed are water mixable oil paints, brushes, canvas, palette, and pallette knife - and it all cleans up with soap and water! This DVD contains 8 thirty minute lessons. What to look for when purchasing your paints and brushes. Learning how to blend and get details with your paints. Following along step by step to complete your painting. Combining what you have learned to create your own masterpieces! Recommended for grade 5 through adult. Copyright 2016. Eight 30 minute lessons. From your instructor, Mrs. Ginger Himes, " I feel when people have an interest in art the first thing they think about is painting. But the first thing they must do is get the basics, how to draw, shadow, blend and see your subject from an artists view. This new DVD on painting answers their questions on how to get started. I want students to view these lessons and when they are finished they will say "I CAN DO THAT"!!!"